I foolishly assumed that because bakeries have Halloween-themed treats, karaoke parlors are decked out in pumpkins and skeletons and a nearby department store has a huge “Happy Halloween!” banner hanging by the entrance, Japanese families celebrated Halloween. A couple days ago over dinner, I told my husband I wanted to decorate our house a bit for Halloween. He suggested the ¥100 store. Two hours and ¥1,700 later, I walked out of Daiso with two bags full of awesome, cheap and gaudy Halloween decorations. 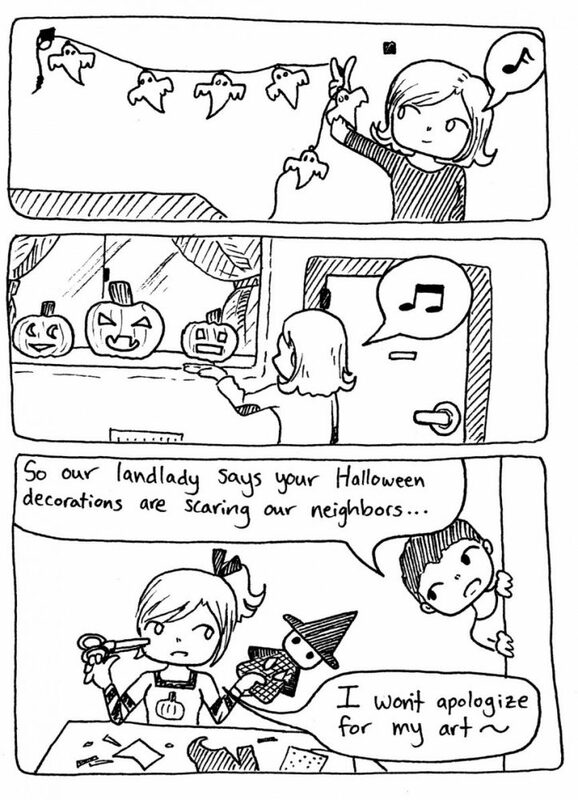 Two days after that, my husband told me our outdoor Halloween decorations were (apparently) scaring our neighbors. We moved the decorations back inside and peace was restored.